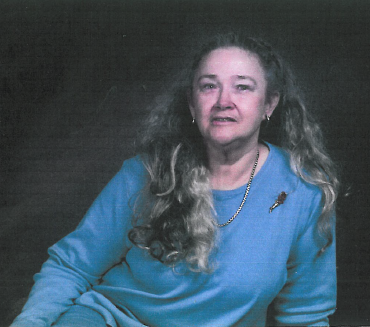 Ms. Joy Taylor, age 75, of 600 Main St., Danville, Virginia, died on January 7, 2019 at her residence. Ms. Taylor was born on April 12, 1943, in Ada, Oklahoma to the late Louis Lee Starnes and Lawatha Starnes. Ms. Taylor is survived by her children, Jennifer Dalton, Jeremy Chaney, and Doug Knight; her grandchildren, Kristian Knight, Jaimie Chaney, Christopher Shane Dalton; one great-grandchild; and her sister Wanda Allred. In addition to her parents Ms. Taylor was predeceased by her siblings, Jackie Starnes, Jimmy Starnes, and Nita Starnes. A memorial service will be conducted on Thursday, January 24, 2019 at Barker Funeral Home Chapel at 4:30 PM with Dr. Charles Scearce officiating. The Taylor family will be receiving friends at 4:00 PM. Swicegood Funeral Service is respectfully serving the Taylor family.